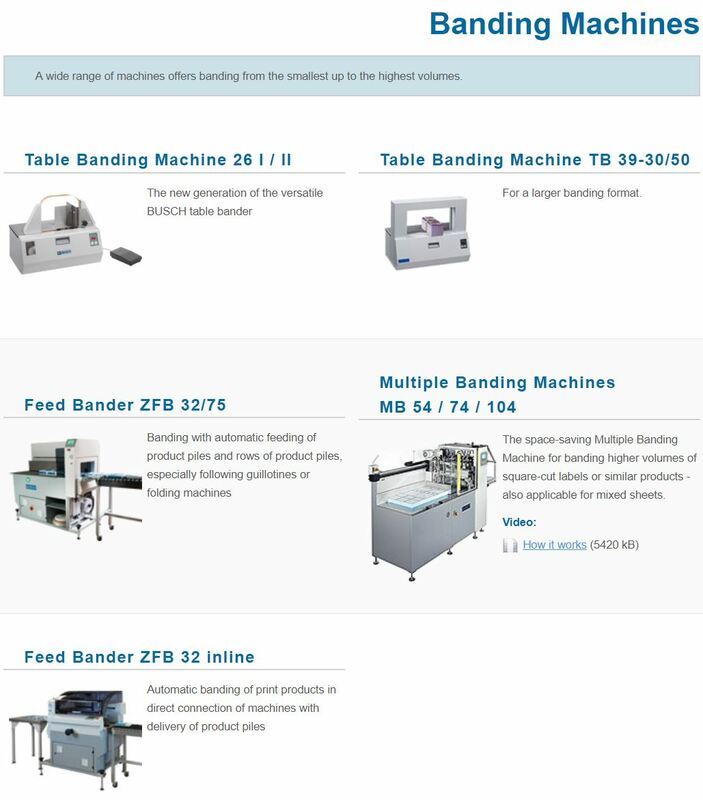 The Busch table banding machine is versatile, easy to operate and PCB controlled. 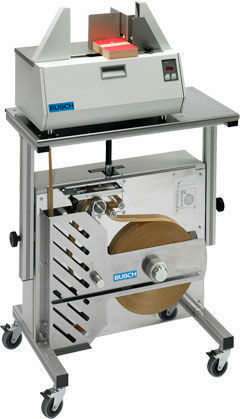 Ideal for banding all kinds of print products, bank notes and much more with tape widths of 20,30,40 and 50mm. 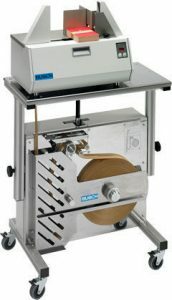 A large mobile reel stand is also available for high volume production.